You are here: Home / WordPress Tutorial For Beginners / How do I make a navigation bar? Most WordPress themes have a navigation bar that runs across the top of the site. 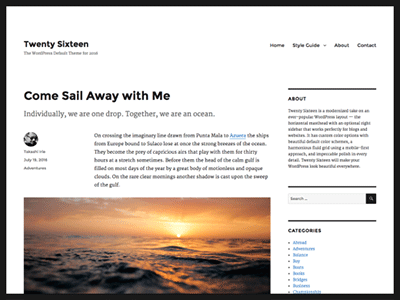 Some themes such as Twenty Fourteen have a navigation bar down the left or right hand side of the site. Click the text link, near the top of the page, that says “create a new menu”. Type a name for your menu in the Menu Name: box. You can add links to pages, posts, category listings or make custom links to any web page anywhere on the web. In this example I’m linking to one of my own blog posts. Tick the box for the post you want to link to. Your menu now has a link to that particular post. The categories option links to a blog style listing. If you link to a category, the page you see after clicking the link would show a list of all of the posts in that particular category. 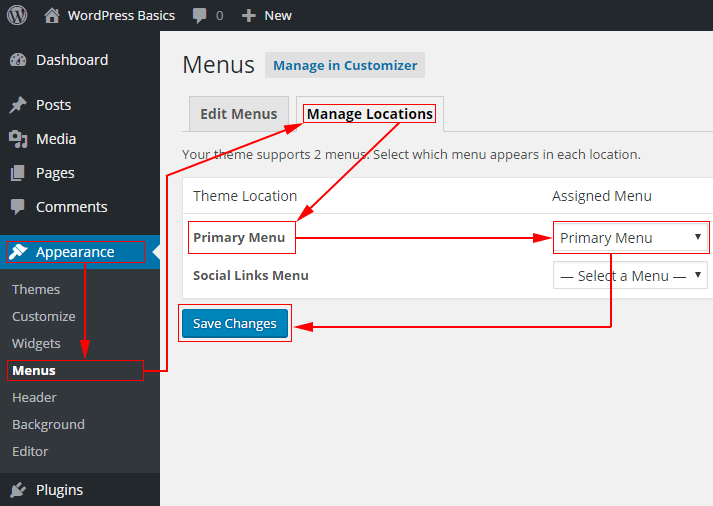 Using WordPress menus you can link to any web page inside or outside of your website. Choose the Custom Links option. Paste the URL of the web page in the URL box. Type the text the user will click into the Link Text box. Suppose you wanted to have your main menu in navigation bar across the top of your site. But wanted an extra menu in the sidebar that linked to different pages, posts, categories etc. Follow the instructions above to add a new, second menu to your site. Add a different set of links to this second menu. Always remember to save your menu. 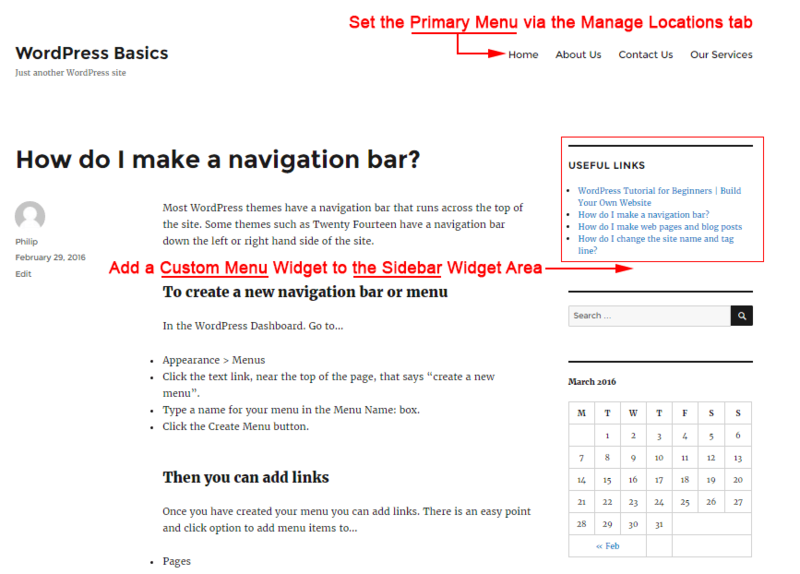 There are two ways to display navigation menus in your site. To add the main navigation bar. This could be across the top or down the side of your site. To your site visitors, the main navbar usually looks like a set of buttons. Go to… Appearance > Menus > Manage locations. “Your theme supports 2 menus. Select which menu appears in each location”. Select one of the menus you have already made form the drop down list. Save your changes. Then test your site to see if you used the correct menu. If not, go back and change it. If your theme has sidebars or footers you can place menus there. Drag a Custom Menu widget, into the Sidebar widget area. Type a title for your menu in the Title: box. Choose the menu to use from the drop down selector. 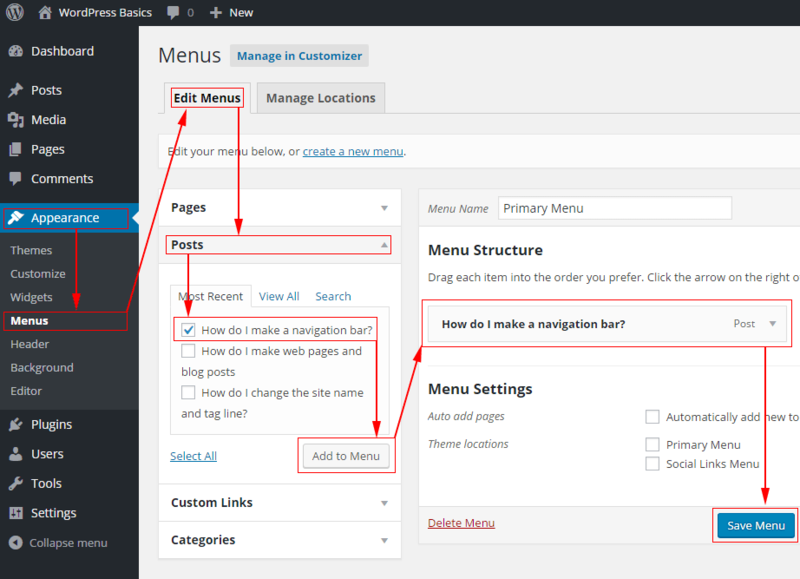 Your menu will now display in the sidebar of your website. Previous Post: « How do I enable or disable comments on my website?